Joomla! (the exclamation mark is official) is not just a Content Management System but also a Web Application Framework. For the easiest analogy, open up Word using the Windows Operating system - my apologies to Mac users - and create a new document and save the document in a new folder in My Documents. This is basically it, articles in categories. The rest is simply navigation around both the articles and the eight thousand plus functions, many thousands of them free, that allow a website to extend its functionalty. The name Joomla is a phonetic spelling of the Swahili word jumla meaning ‘all together’ or ‘as a whole’ and reflects the open source ethos of its development project team. The concept is also present in Arabic and in languages from around the Indian Ocean. Open Source is actually still copyright and trademarked but remains available for general use within the common purposes of the owners. The 2008 mission, vision & values of the Joomla Project Team includes a vision of ‘people publishing and collaborating in their communities and around the world, software that is free, secure, and high-quality, and a community that is enjoyable and rewarding to participate in’. The two current versions are 2.5 launched in January 2012 and 3.4 launched in September 2014. 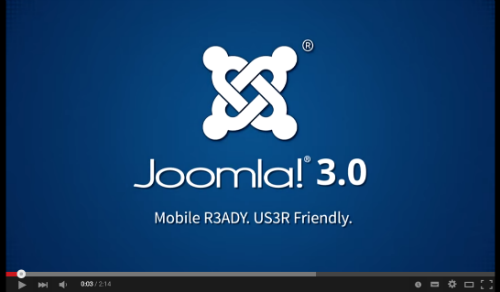 Joomla 3.4 is very much designed for multiple platform and multiple browser compatibility so looks just as good on a handheld device as a laptop or desktop computer using any operating system and browser. Migrating and upgrading is really straightforward to undertake and management through your hosting cPanel interface or using a FTP client such as Filezilla is very intuitive and uncomplicated. In August 2015 the Joomla community celebrated 10 years of developing up to the current version. The Joomla ‘community’ has a number of online forums but like most they tend to be for the technical service providers rather than social, commercial and political entrepreneurs whom simply need a web presence and a merchant transaction portal. There are also some excellent Joomla extension reviewers and many, many free pro-standard extensions to explore and utilise. The difficulty, as in all situations when you need help, is in knowing if the issue you need to resolve comes down on the side of legitimate difficulty or embarrassing ignorance. This is a tough social balancing act but the online resources are mostly in place, Joomla really is straightforward to master, and the E-Literacy Programme hopes to smooth out the sharper corners of getting this essential part of your ambitious journey completed.